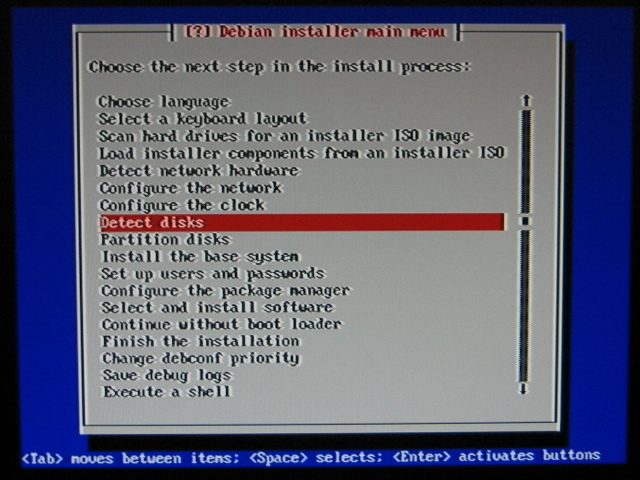 Debian Installer, despite its simplistic interface, is designed to be both very user-friendly and very robust. 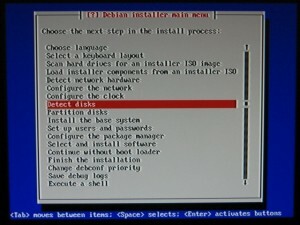 Most people will have little to no difficulty using i386/amd64 versions of Debian Installer on a normal AMD/Intel computer or a virtual machine, which is good practice for people new to Linux. This part will mainly focus on quirks specific to Wii, using Lenny installer as an example, with screenshots of the key steps. Most of the time, all you have to do is wait and make a few occasional choices. If you are curious as to what is going on behind the scenes, press ‘Alt-F4’. Press ‘Alt-F1’ to get back to Installer GUI. 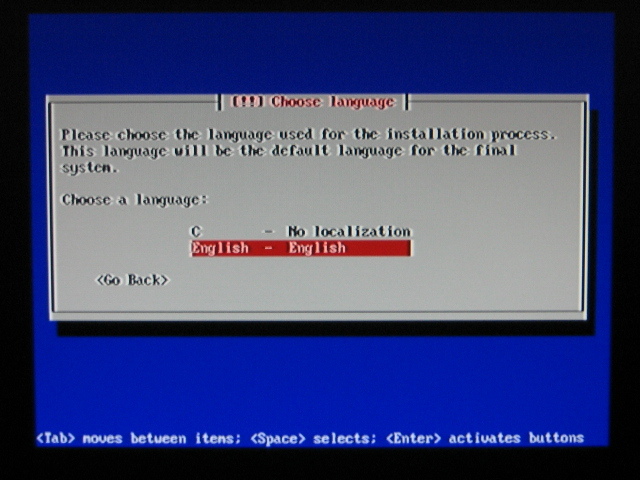 The first screen of Installer lets you choose the language used during the installation. It is advised to select ‘English’ for best results, even though Installers for Squeeze and higher offer many choices, most likely including your native one. After the installation is complete, you will still be able to change to a different language with ease anyway. You will be warned that no kernel module package can be found. Just select ‘Yes’ and move on. 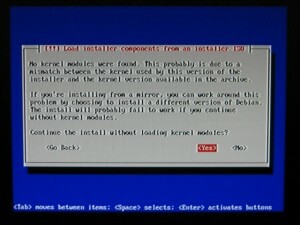 Module installation will be performed manually towards the end of installation (see next section). 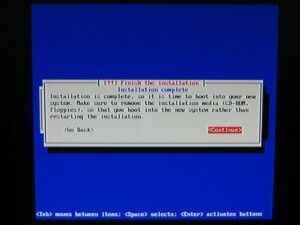 The Installer will then attempt to establish network connection. 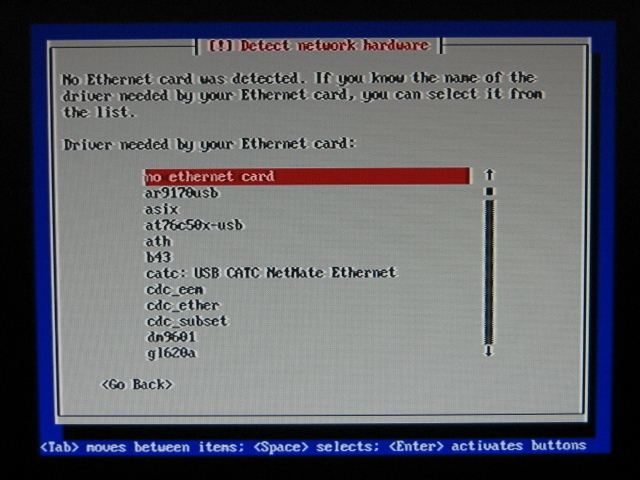 USB wifi/LAN adapters should be automatically recognized, if they are supported. Wii’s native wifi needs to be manually selected. In the above screen, scroll down to ‘b43’ and press ‘Enter’. 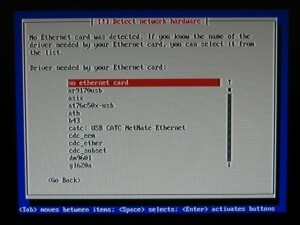 If network hardware is working, the Installer will try to use DHCP to obtain IP address, and should that fail, prompt for manual configuration. If wifi is being used, you will be prompted for SSID and WEP password. There is nothing special here. 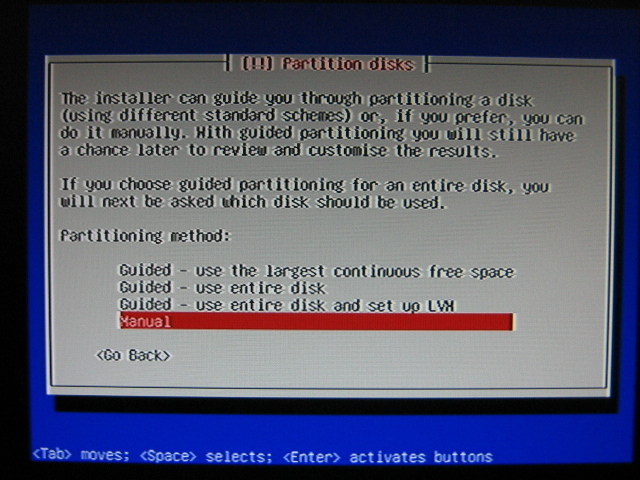 The Installer will then pop warnings about default partition type and lvm being unavailable etc. Just ignore these and ‘Continue’. In almost all cases, you should select ‘Manual’ in this screen. or you can try installing to USB storage device. 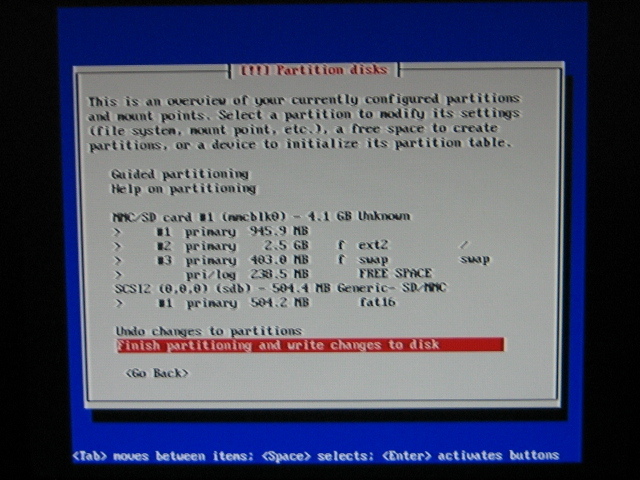 The partition scheme of the SD card or USB storage device can be anything you want, if you really know what you are doing. 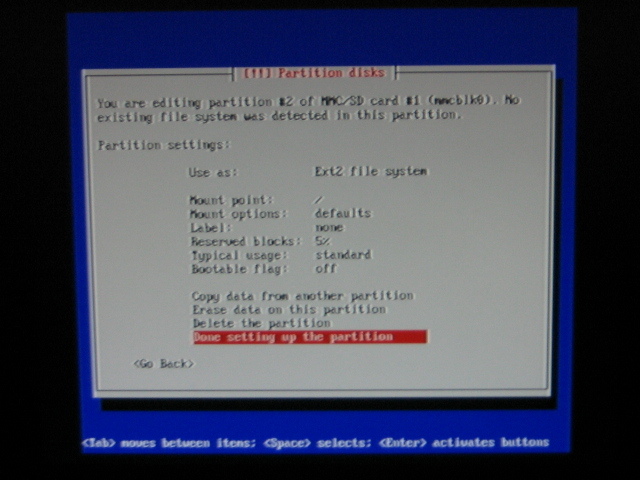 For those less acquainted with Linux file system organization, it is probably best to just follow the ‘Whiite-style’: first partition of SD card formated as FAT, and not used in Debian; second partition formated as EXT2, used in Debian as root filesystem and mounted at ‘/’; third partition used as swap area. 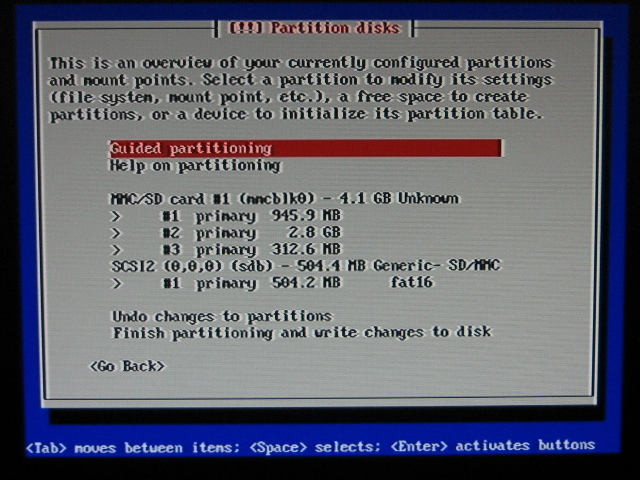 You can format the FAT partition using the Installer, or do it later in Windows/Linux. 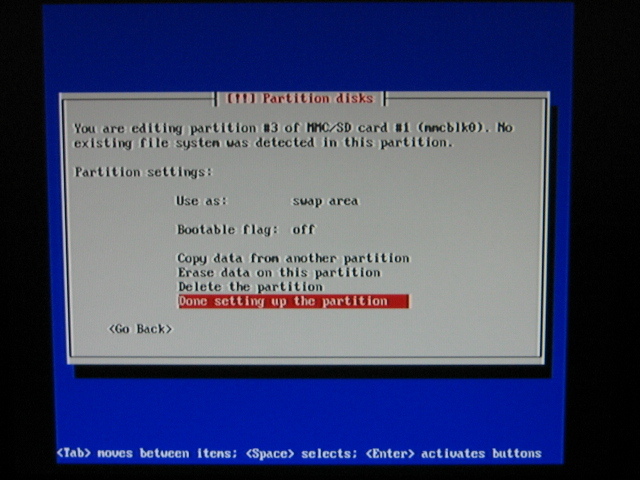 This partition will hold the files required to boot the installed Debian in HBC or Bootmii. 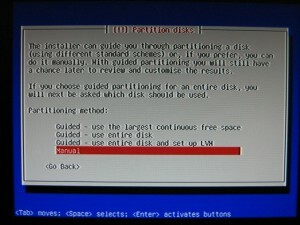 After the partitions are all set up, select ‘Yes’ to write the changes to device and if there is no error in this process, the Installer will go on to extract and install a base system, which will take quite some time. The screen will go black after some time to save power. Press any key to activate display. 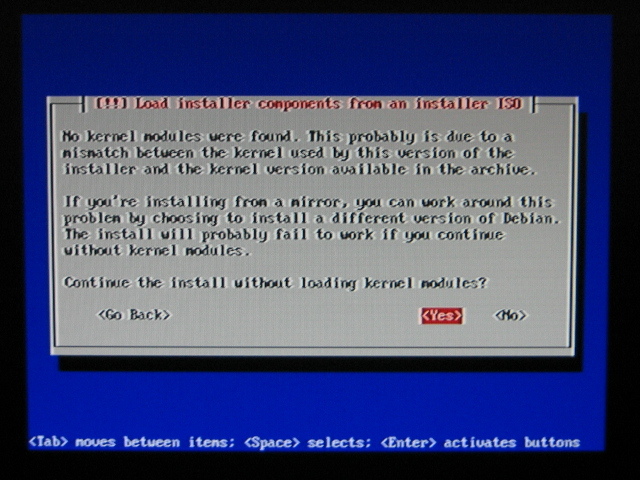 Towards the end of base system installation, warnings will be displayed about ‘no boot loader’ and ‘no installable kernel’, which you should ignore and choose to continue. You will also get a chance to set root password and create a normal user. 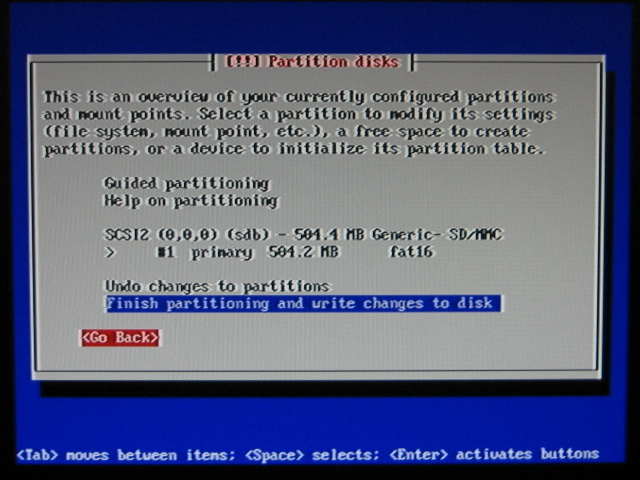 If you have network connection working during the installation, you will be prompted to select apt mirror servers. 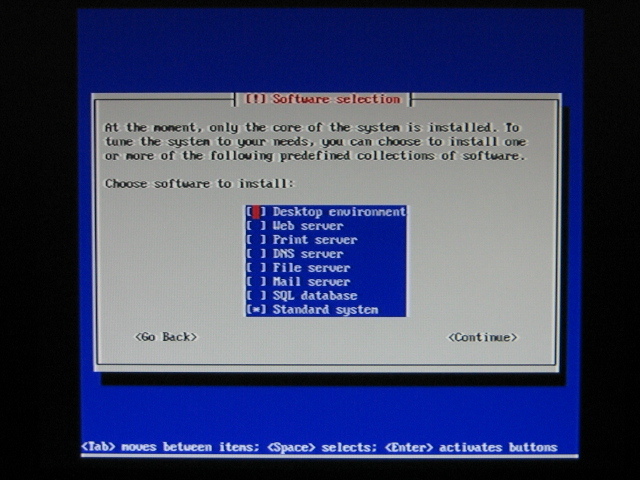 You will also get the chance to select and install certain meta-packages, such as ‘Desktop environment’ and ‘Standard system’, etc. It is probably better to do this manually later to avoid ending up with a bloated installation with many packages you probably do not need. 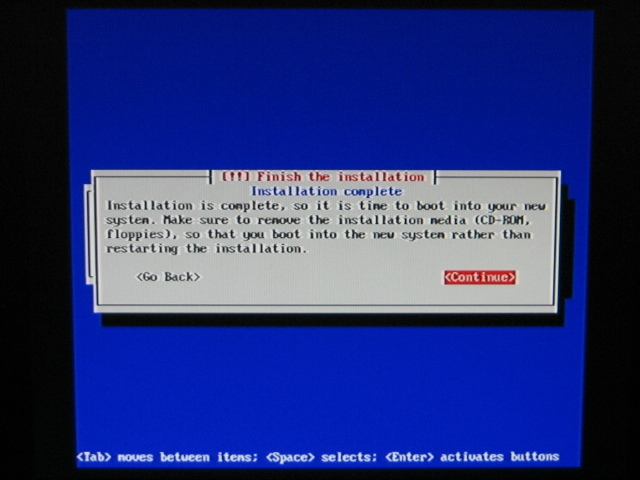 At the end of the installation process, you will see this screen. 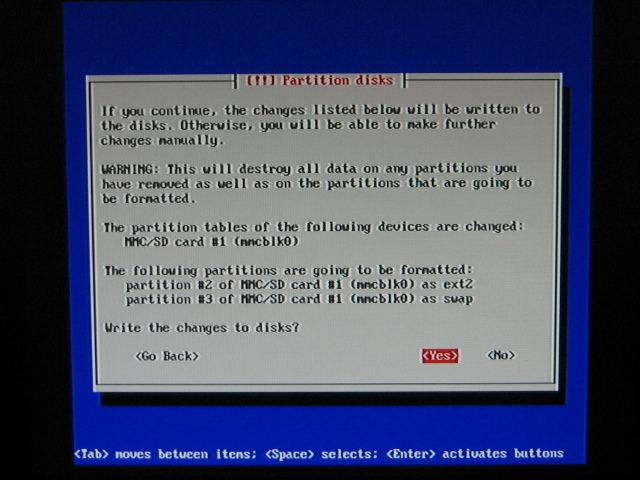 Do NOT select ‘Continue’ yet, because we still have unfinished business before rebooting into Debian.